Four of our best musicians, ensuring the greatest performance with the most outstanding Mexican mariachi sound, this option will cost depending the location and day of the week around $295 dollars per hour. This opiton is only available Monday through Thursday. 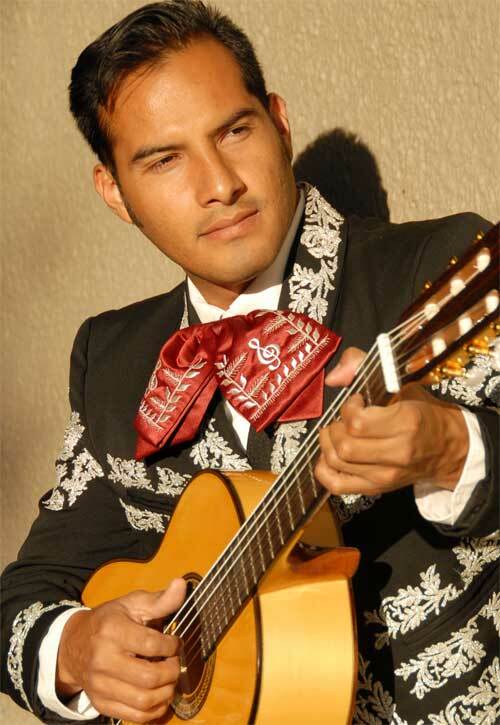 Fantastic Option with Five Musicians for $345"
Elegant Choice with Six Musicians for $395"
Mariachi Star will give your party or social event an ambiance of pure Mexican flavor that will never be forgotten, with Six musicians all of them great singers. This option will cost depending of the area and day of the week approximately $395 dollars per hour. Saturday minimum two hours. Three excellent musicians with an Accordion or a requinto, a guitar and a base. will make a great performance. this option is only, $245 dollars per hour This opiton is only available Monday through Thursday. The Original Mariachi Band is usually 13 musicians but here in Los Angeles the most popular choice is between four to five musician band, especially because we can fit inside a house or small apartment, also because is more economical, but regardless of the amount of musicians we want to reassure you that our musicians are professional, wonderful singers, very well dress and gromed, happy and respectful to any type of audience. Thank you for supporting the Mexican American Tradition in Los Angeles. God Bless you.